EQ is more important than IQ. Discover how you can increase your emotional intelligence to improve your life! Emotional intelligence is a crucial life skill that will either make you a success or a failure in today's world. The ability to be aware and in control of your emotions, to perceive and adjust to others', and to manage relationships is the key to a better and happier life. If you are consciously and deliberately developing and honing this skill, then you are most certainly progressing towards your best self. Research has succinctly proven that EQ is more important than IQ. Emotional intelligence is now the leading determinant of success according to psychologists and neuroscientists. 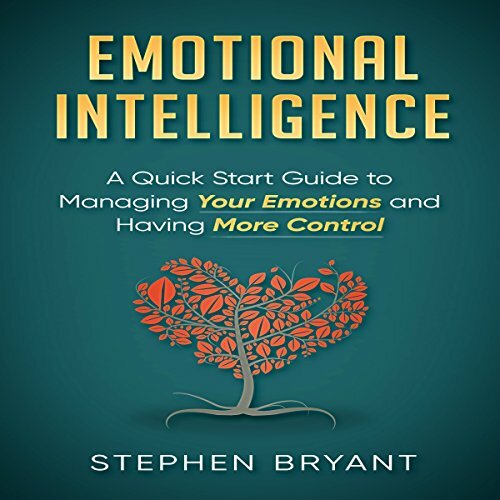 This book is an essential guide to better your understanding of emotional intelligence and to supply you with the right tools to develop your EQ and lead you on the path of emotional brilliance. I believe emotional IQ will be the next hot topic discussed by all self-helpers. There are not many books written about it and after listening to this book, I understand why. We have no research and no way to test it, yet. Instead, I got a handbook on dealing with anger, a far cry from knowing whether or not to tell your spouse how to fix her problems or just sit there quietly and let her vent. I may be highly critical after listening to Grit by Duckworth who colors her book with stories, research, studies, and facts. With that said, if you have angry issues, great read. If you’re looking for self-awareness. Keep looking.